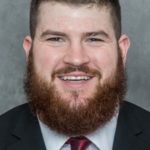 Iowa State reserve offensive lineman Will Windham will close his college career in his hometown when the 24th ranked Cyclones play 13th ranked Washington State in the Alamo Bowl. Windham grew up near San Antonio in the town of Schertz, Texas. Windham was a standout at Clemens High School and says he chose Iowa State in part because of an academic opportunity. Windham says he will have more than two dozen family and friends at Friday’s game.